“Aunt Raini” has been playing at Jewish Theaters across the U.S. There are two different versions of the script. One production company combined the two, unsuccessfully. At Pacific Lutheran University Tom Smith recently had the West Coast debut of the play. Smith, play wright, director, Associate Professor, and Artistic Director of Theatre at P.L.U. used two casts and both scripts. Smith said, “The productions are different. The costumes are different. The blocking is different. It’s been a really fascinating process to see two different groups of people approach the play in different ways.” It didn’t work for me, however. Anyone who attended only one performance saw only one side, so I guess I miss the point of having two casts and two scripts. I would have preferred to have had the cast I saw perform with just a little more rehearsal time. The play pivots around Katherine, who must decide what to do with controversial and striking art work she inherited from her aunt. The play pivots around Katherine, a successful gallery owner who must decide what to do with controversial art work she inherited from her aunt. The aunt is Leni Riefenstahl, the woman known as “Hitler’s filmmaker.” Riefenstahl made stunning and innovative documentaries of and for the Third Reich. At the end of the World War II she was only 43 years old. She had successful careers both before and after the war. Some people blame her for the glorification of Adolf Hitler and the atrocities of Nazi Germany. I liked the premise and the scenario, especially in a time of news and “fake” news . . . and an abdication of truth. I liked the premise and the scenario, especially in a time of news, “fake” news . . . and an abdication of truth. As video producers my wife and I always strive to make the client the hero. That’s our job. We work with images and almost every photograph I take undergoes some sort of transformation before being shown to the public. The same goes with video. For example, some time ago, a vitamin doctor was raided by the Feds by kicking in his door and removing computers and documents. I reviewed the footage, which showed an agent wheeling out a handcart stacked with file boxes. As he came close to the camera man, the agent changed his grip. I thought I saw something to illustrate the government’s attitude. I froze the footage and the agent appeared to be giving the public and the world the finger. It was the perfect ending to our video. The client loved it. 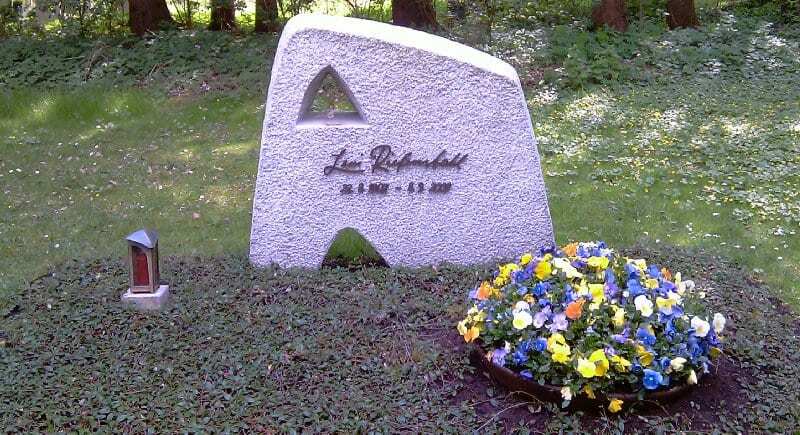 Leni Riefenstahl was the perfect artist when considering the responsibilities of art and the artist. Although Alan Bryce of Centerstage Theatre in Federal Way has retired, the theatre still does amazing production work with slides, video, music, and live acting . . . and Alan sometimes returns. 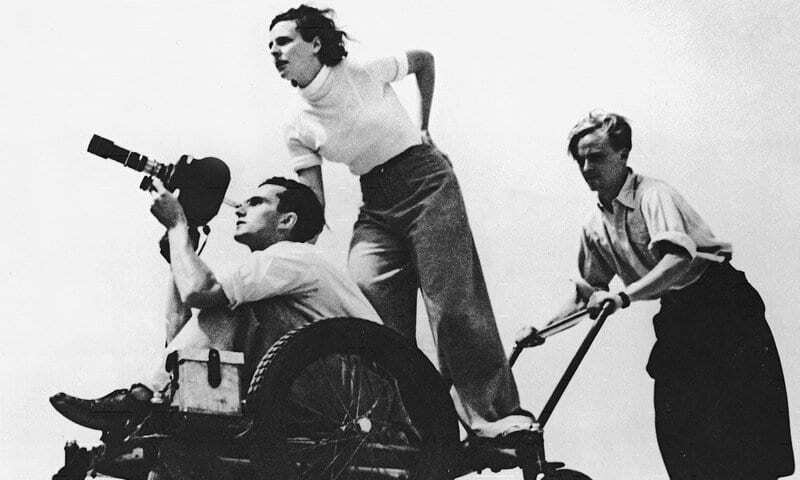 There are plenty of photographs and footage from Leni Riefenstahl to make an impactful and thoughtful drama considering the argument of the responsibilities of art and the artist. I would love to see what Centerstage Theatre’s Alan Bryce could do with this play. Thank you, P.L.U. for making this production possible. An excellent, thought provoking production at a liberal arts institution.